Pacing is the most low-tech speed measuring technique. The officer simply keeps pace with the target vehicle. The officer then testifies that he maintained a constant distance from the target vehicle and states the speed of his cruiser’s speedometer at the time. Many drivers do not know that an officer can pace a vehicle that is to the side of, in front of, or behind his vehicle. Some officers will pace a vehicle that is on a highway while the cruiser is on a parallel access road. The most popular technique is to tailgate the target vehicle either directly behind or just one lane to the right of the target vehicle’s back bumper. When a vehicle pulls up behind a police cruiser, some officers will gradually speed up to see how fast the driver is willing to go while pacing the driver. In order to use pacing in court, a police officer should have had their cruiser’s speedometer calibrated recently, usually within 6 months before a ticket is written. Speedometer calibrations are performed by testing the cruiser’s speedometer against a dashboard-mounted radar unit or by using a dynamometer. Pacing errors often occur when an officer does not pace for a sufficient amount of time. 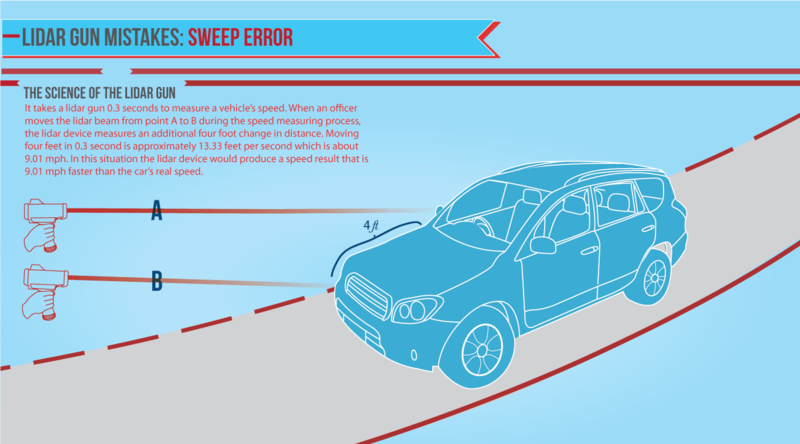 Another common error occurs when an officer accelerates in order to catch up with a speeder and does not decelerate completely prior to beginning the pace. Other errors include attempting to pace a car that is accelerating or decelerating, pacing a car that is changing lanes or separated by other traffic, and pacing a vehicle that is too far away. As always, a proper tracking history is essential for an officer to avoid pacing errors. An officer cannot accurately pace on a curve if the car is in another lane. He will have to drive faster to keep up with a vehicle that is closer inside the curve or drive slower if the vehicle is farther outside the curve. If you were paced on a curve and the officer was not in the same lane tell your traffic attorney immediately. Beat a Speed Ticket Learn how traffic attorneys beat speeding tickets. 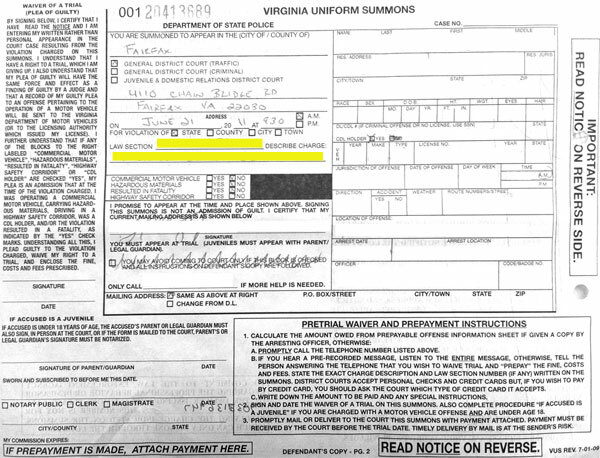 Reading Your Summons Learn how to read a Virginia Uniform Summons and to understand what it says.